Native of Shreveport, LA. Family roots Cane River and Lafeyette, LA. Son of World War II Veteran L.C. Bryant and mother Elnola Goode Bryant. Education: LSU-S, Bishop College,Tampa College, Shreveport Bible, Master of Theology. Ordained by the Rev. Dr. E. Edward Jones, Former President National Baptist Convention of America. 37 years in Pastoral ministry, Missionary to South America including the Amazon. Business: 25 years in Finance and Mortgage. Origination: Original Grassroots activist 2009 address to 1.5 million Washington, DC. Senior Fellow at FreedomWorks. Creator & Star of the Crystal Dove award winning movie 'RUNAWAY SLAVE'. Founder: One Nation Back to God. Frequent Guest: Fox News. The Blaze. CNN. MSNBC. Syndicated Radio. Columnist and Author. Former two-term President of NAACP Garland, Texas. On June 4, 2014, C.L. 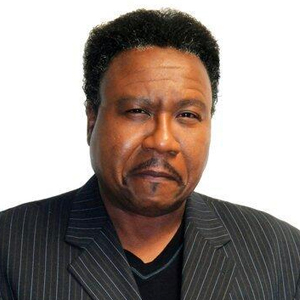 became Host of soon syndicated radio program THE CL BRYANT SHOW. Content of Character College Tour (HBCU). New film project will be called 'RED WHITE AND BLACK' which will be coming in 2016. C.L. Bryant is recognized as one of Americas most Dynamic Orators and he is a highly sought after Speaker, Motivator, Activist, Organizer, Gospel Preacher. Current Church affiliation is the Word of God Ministries with Pastor James A. McMenis and located in Shreveport, LA. Family: Married to Jane C. Pruitt Bryant and a father of four; grandfather of 12.